Why are fighting games no longer popular? Fighting games have reclaimed some of their long-lost fame lately, but they’re still balancing between mainstream and niche. What’s preventing the genre that used to be so popular from getting back into the limelight? There are several reasons for that. After the lean patch that lasted for the last couple years, the fans of fighting games finally have more choices available again – just last year, we’ve witnessed successful releases of games such as Street Fighter V: Arcade Edition, Dragon Ball FighterZ, Fighting EX Layer and BlazBlue: Cross Tag Battle and this noble assembly was recently graced by Soulcalibur VI. The future is also looking good – the end of this year will bring another installment of Super Smash Bros, and Dead Or Alive 6 is due 15 February. Things are looking well, then, although we’re still a long way from the times when the genre dominated consoles. Nowadays, when a game sells more than two million copies, it’s considered a huge success – which is a fraction of the sales figures achieved by the biggest brawlers of PlayStation 2 or contemporary hits. 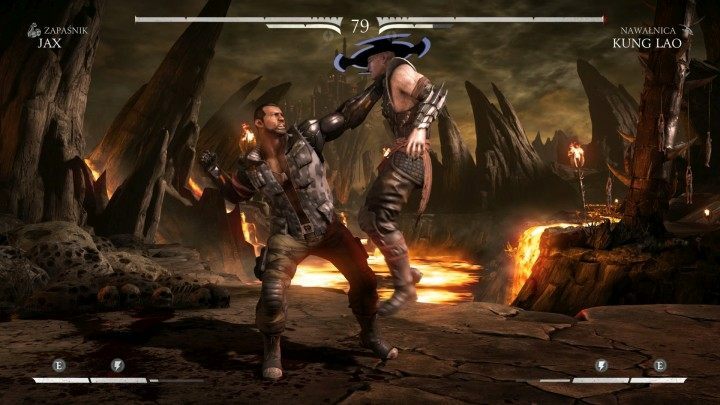 Practically the only game that’s still looking as strong as ever is Mortal Kombat. Why is it the case? Why the genre that used to be so wildly popular, which, at first glance, seems to hold such an immense potential not only when it comes to casual fun but also in e-sport, can’t seem to escape its niche? We shall try to address this question below. Essentially, there are two primary schools of playing fighting games – either frantically pressing any button, hoping that this will yield some results at some point, or actually knowing what you’re doing. The first approach can be fun, but it’s also really shallow and gets boring rather quickly – also because the enemies are most of the time controlled by the AI or players who adhere to the same “tactical” principles. Hence, the people utilizing this approach drop out pretty soon, unless they decide to embrace a more serious approach. Otherwise, if they decide to try online play, the players that have even a remote idea of how the game really works will whip the living souls out of their characters in no time, which is understandingly discouraging. The serious approach requires practice, though, and lots of it, too – you want to be successful in online games, that is. Learning special attacks alone is no good – you will also need at least a rudimentary understanding of the skillsets of each character in order to know how to defend, as well as some knowledge of the more advanced systems the games include. And that alone requires a good few hours spent on fighting and practicing. It usually takes many games before you’re finally able to hold your own in multiplayer. And even though achieving such level, at last, is hugely satisfying, the players ready for such commitment to a single title are few and far between – so the majority turns to simpler, less demanding games. Injustice 2 offers a very approachable combat tutorial right off the bat. Aware of that, the devs have been trying to come up with various solutions, many of which were, sadly, suboptimal. While the creation of comprehensive, substantial tutorials that explain all the intricacies of the given title’s mechanics step by step is a great idea (examples include Injustice 2 or Dragon Ball FighterZ), the solutions designed to simplify the games by introducing automatic combos (Dragon Ball FighterZ, Marvel vs. Capcom: Infinite or the second season of Tekken 7), or general and downright trivialization of special attacks (Fantasy Strike, SNK Heroines: Tag Team Frenzy), not only largely fails at bringing new people in – they also discourage the veterans, effectively leading nowhere. Seems to me that a hugely important aspect at play here, the one which doesn’t let brawlers really penetrate the mainstream, is the character of the duels – namely the fact that they’re exactly what they’re called: duels. If you consider current trends in e-sport, it becomes quite apparent that games designed for teamplay dominate the charts of the most popular titles. I would then venture to say that the reason for this is a simple psychological mechanism: sharing the responsibility. If you lose a duel, you only have yourself to blame. If you lose in Conquest Large in Battlefield, there can be as many as 63 other people whom you can blame for camping ‘stead of capping. It doesn’t even matter if you do that consciously, by verbally attacking your teammates, or unconsciously; it’s possible to lose a game, but still get a decent score or k/d ratio, which can effectively mitigate the disappointment. That’s just a coping mechanism that allows you to feel a bit better. And then there are fighting games – totally ruthless in this respect. The only person responsible for your failure is yourself and the opponent – no matter the circumstances, there is no distribution of responsibility. This can be demotivating, and not everyone has enough composition to persevere a dozen or more losses and still keep going, being aware that hard work will eventually pay off. After all, these are just games. Street Fighter V doesn’t forgive – the skills are instantly verified in multiplayer. Such games don’t have MMO-like levels of experience or items reinforcing the characters, which allow you to translate the hours spent in the game to some tangible advantage over people, who played less. 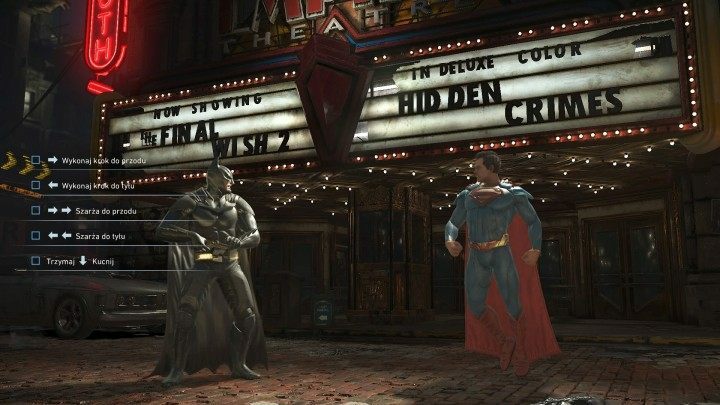 There are, of course, some exceptions – for example, Injustice 2 experimented a bit with RPG elements with reasonable results – however, such elements are turned off by default in ranking games, which brings all players back to purely skill-based gameplay. All that counts are your abilities and having spent 15 hours more in the game doesn’t necessarily mean you can be sure of winning. Street Fighter V debuted in 2016 among an atmosphere of controversy – the game was criticized for having too few characters and game modes, as well as issues with the online code. It took Capcom two years to get the game back on track, and the result of that was the release of Arcade Edition this January, which finally was a great and extensive game. Fans and reviewers alike were satisfied, which, however, wasn’t translated into more copies sold – this year, the game sold only a few hundred thousand copies more. Another problem of contemporary fighting games could also be the fact that although they’re trying to bring new players, they’re not really committed to making multiplayer approachable to more casual players. In effect, many debuting titles offer a very modest singleplayer content. 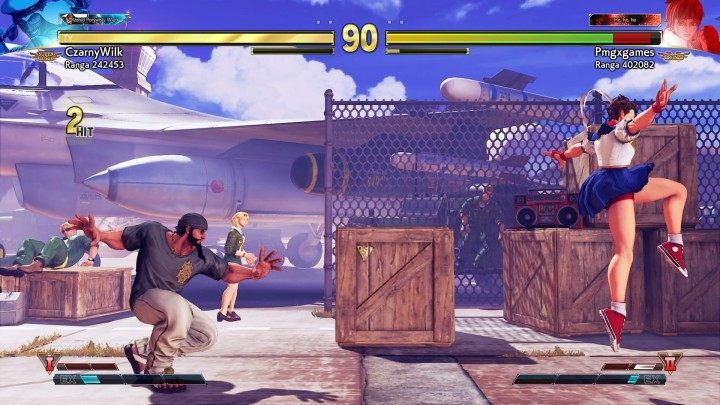 The primary example is the Arcade mode, which used to be the cornerstone of any fighting game and is now hardly ever present in brawlers – and if it is, it’s a thoroughly basic mode that doesn’t even feature cut-scenes or post-match stats boards. You couldn’t find Arcade in Street Fighter V for two entire years; it similarly was implemented post-launch in Fighting EX Layer (where the only game mode featuring AI-controlled opponents used to be buried away deep inside multiplayer options), and in Tekken 7, it was reduced to only a handful of arenas. 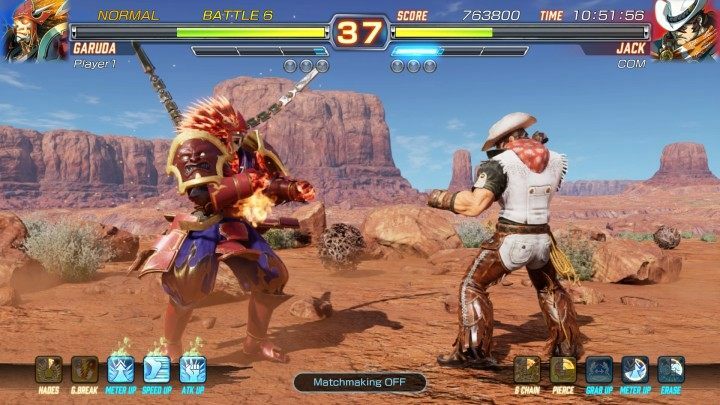 Fighting EX Layer received the Arcade mode sometime after the release – however before it came to that, many players had given up on the game. At the same time, we rarely get any classic singleplayer modes – Survival or Time Attack have been almost entirely neglected, which is bizarre because developing these requires very little effort. Instead, we get jaw-dropping (at least in theory), cinematic campaigns, which do look pretty well but usually suffice for as little as 2-3 hours. From the perspective of a player who’s more interested in giving the game a spin every now and then rather than giving up his entire personal life to become the master of the given game, paying for a game that yields so little genuine gameplay is just no good. Throughout recent years, only Netherrealm seemed to understand, or notice, this problem and this is where I think the success of Mortal Combat stems from. Fortunately, things are slowly changing – this year’s FighterZ offers quite a substantial singleplayer campaign that suffices for more than one afternoon, as well as a pretty diverse Arcade Mode. Street Fighter V, after years of updates, finally offers something interesting for lone players, and the recent Soulcalibur VI turned out to offer extensive singleplayer modes. 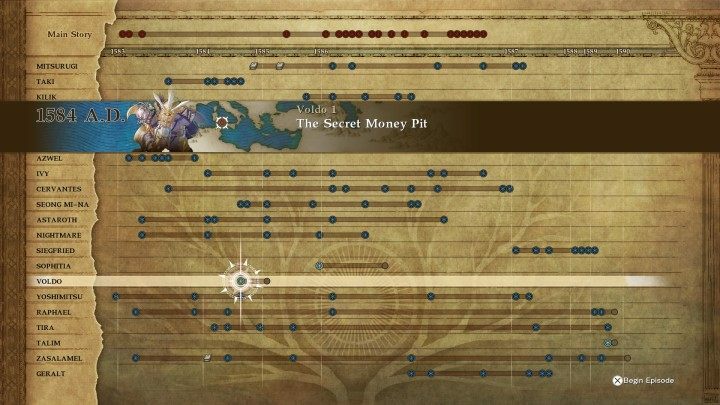 There’s no shortage of singleplayer modes in Soulcalibur VI. Possibly the most spectacular failure of the genre in recent years was Marvel vs. Capcom: Infinite. Capcom generated incredibly poor PR before the game’s release, exposing itself for a sweeping criticism for not including many characters considered iconic to the series (among them X-Men members), the graphical style, or the announced, paid DLC. The unrest was rendered in the financial performance of the game (barely a million copies sold, while the publisher assumed at least twice as much), which, in turn, led the devs to swiftly abandon any plans of future support of the franchise. Rumor has it that there’s a buffed-up edition coming sometime in the future, which could erase the bad impression, but only time will tell whether that’s true. So far, the game is the perfect case study of how not to advertise your fighting game, so take notes. The way fighting games adapted to modern business practices such as paid downloadable content is another big issue, I think. We not only have the regular, singular season pass with additional characters but entire series of such passes – take Street Fighter V, for example. 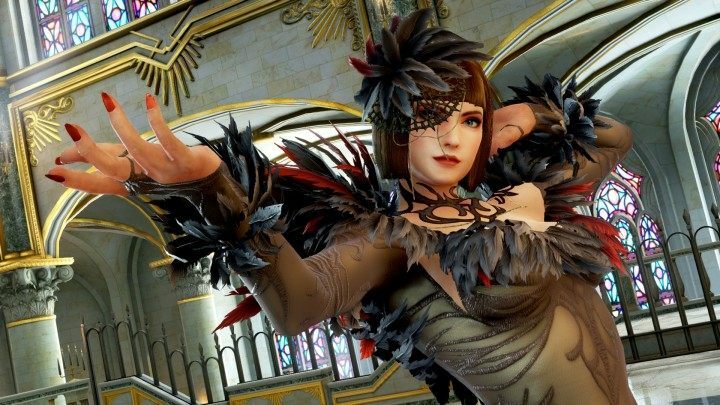 The game has recently finished its third season of DLCs, and it seems that the fourth one is just a matter of time; Tekken 7 has just launched its second batch of characters. Tekken 7 recently begun the second season of DLCs, where you can find two celebrated characters – Anna and Lea. On one hand, that’s cool, since the developers are allowed to support and polish their games post-release, as well as work on some free content (Street Fighter V, for example, received a new game mode, plus a big overhaul of the Survival mode, which had been often criticized), and the fans have more reason to get back to the given game. At the same time, though, this could be considered a case of coercion by many players – as mentioned above, there’s a point, at which you have to learn the abilities of all characters in order to be a real competitive player. The best way is, of course, to own all the characters, which makes buying season passes a necessity, rather than a matter of choice. That’s why, in case of a fighting game, a system similar to the one from Overwatch would probably be much healthier; in that game, you can purchase cosmetic elements and different embellishments for your avatar, but the characters are available to all players at no charge. Unfortunately, not many developers are keen on such a business model. Too bad, because you could confidently assume that sealing characters off behind a wall of payments is another deterrent for many players – I know at least a couple people, who are reluctant to the idea of trying out a brawler game precisely for that idea, even though they used to love the genre. The fact that the genre is not doing as well as the fans could wish is best asserted by the case of Soulcalibur. 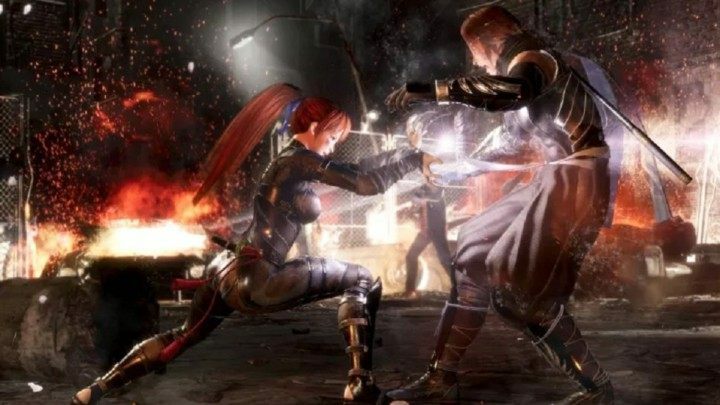 One of the biggest brawler franchises ever made a huge flop in 2012, when Soulcalibur V, the game that prompted Namco Bandai to bury the series, was released. After six years we got Soulcalibur IV, but the developers had limited resources for the production and they not trying to hide the fact that this is the last chance for the series. If the sales figures aren’t good, the saga of the cursed and blessed swords will be finished for good. The reasons for the underperformance of fighting games enumerated above are just a few of the most prominent issues – if diagnosing all the problems pestering the genre was simple, somebody would surely have already come up with a solution. It’s also possible that the fans have simply become bored with these games, and there’s no conceivable way of bringing it back, but I don’t think that’s really the case – just take a look at Mortal Kombat X. People still want good virtual duels… it just seems that modern brawlers don’t really cater to their needs. The success of Mortal Kombat proves that there’s still hope for the genre. Things are better in recent years than they have ever been during the last 10 years, but the genre is still on the verge between slumping back into negligence and returning to the mainstream with flying colors. In order to avoid the worst-case scenario, it definitely needs a new, fresh direction. Is making the games more accessible to casual players a good solution? That’s certainly something the developers have been experimenting with recently. Maybe brawlers need a different approach to DLCs or a greater emphasis on singleplayer? Maybe the real way out is something altogether different? It’s hard to tell. I just hope that Namco Bandai, Capcom, or Arc System Works will finally come up with the answer to the question. I would hate to see my favorite series to just die somewhere in a dark, quiet corner, abandoned by fans and developers.